William H. Curtis offers legal advocacy for personal injury suits against individuals in Augusta, Georgia and across the surrounding region. We have been working on these kinds of class action claims for more than 30 years, and you can depend on our skillful team. We are dedicated to helping you achieve the best possible conclusion. 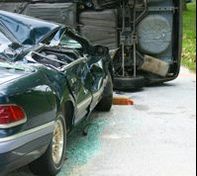 If a commercial truck is involved in an accident, smaller cars are even more at risk of injury or death. The majority of crashes are caused by human mistakes, technical breakdown, intoxication or failure to maintain vehicle requirements. Regardless of the reason behind the crash, William H. Curtis will achieve justice for you and your loved ones. William H. Curtis knows how difficult it is if you or someone you care about has been injured in a car accident or work incident. Our team is here to consult at a free meeting, and we guarantee never to force you into anything you don't totally want. If you live near Augusta, contact William H. Curtis today.